There’s nothing creepier than creepy dolls and creepy kids. Throw in clowns and we’ve got the trifecta. While Sam wants to talk it out but the others are classic Hunters. They do not speak about emotional issues. As they investigate, including Mary taking the lead as fake FBI agent, we see Mary as a very skilled, capable hunter – but also clearly a hunter who is 30 years out of date and she’s feeling that badly. This is all well and good but how exactly is she going to function and live? Is it that practical? I mean, I like this scene, it’s very real and I can completely understand the turmoil she’s going through. Sure, here’s Sam and Dean calling her “mom” – but HER Dean is like, 6 years old. Her Sam is a babe in arms – she’s supposed to look at this 6’+ man and see her baby? And not think of the missing years or her dead husband? I’m also annoyed that this will bring about her absence. While this means she will live a bit longer I think, it also means that Supernatural is again not getting what it has needed for so long: a main female character who appears more often than once or twice per season or for a brief run in a season. Yes of course. 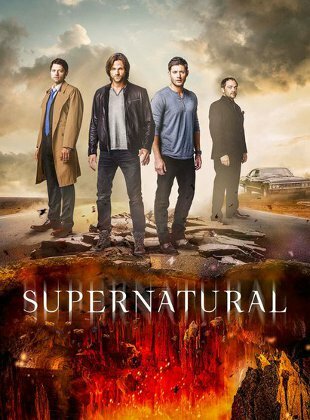 I think Supernatural really does stretch the whole Castiel-man-out-of-place nonsense at times. Between them Castiel, Crowley and Rowena make a deal to work together against Lucifer, even if Rowena is taking a back seat. And it seems for once Rowena and Crowley are acting together without their issues. Crowley, Rowena and Castiel as a team without the mummy-son drama? Yes, I’ll watch that, sign me up!